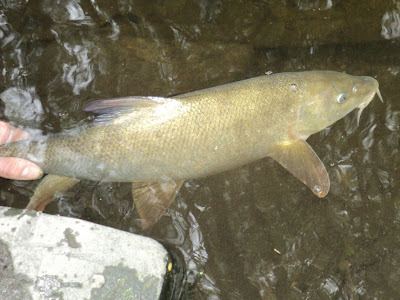 Very quick trip to the river today, our first in September, and we fished a stretch we hadn't fished since last year. I added a chunky 4lb 0oz barbel to the challenge and Dan caught his second mitten crab of the season! I really like the photo as well, I didn't realise Dan took it - shows just how clear the water is. 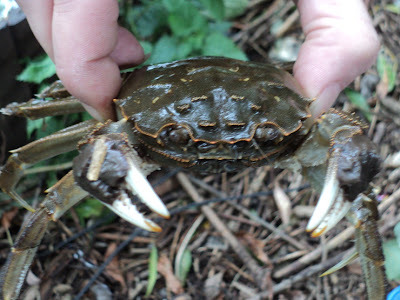 I can't see anything that swims in fresh water here taking on a mitten crab - I think it would probably scare the fish!